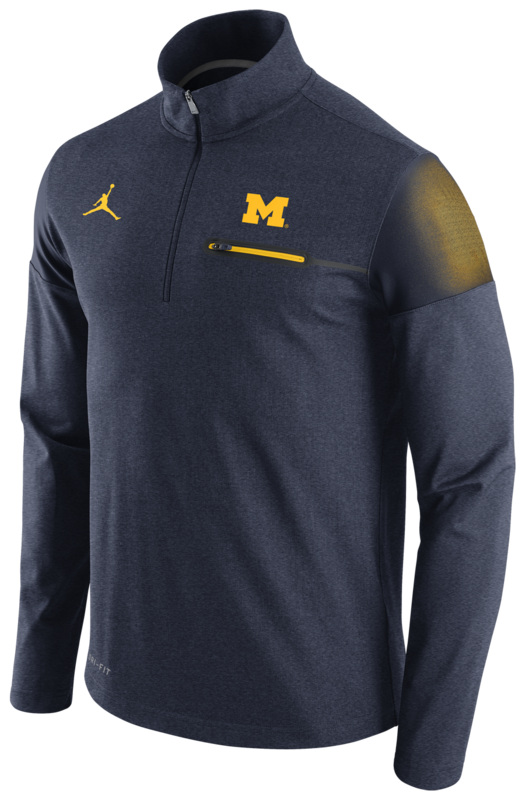 The first official images of Michigan's new Nike and Jumpman apparel. Images via MLive.com. Click to embiggen. Select media members were given a sneak peak of the new Nike/Jordan apparel that is due to launch on August 1st. As you can see, these shirts feature either the Jumpan logo or the swoosh...never both. 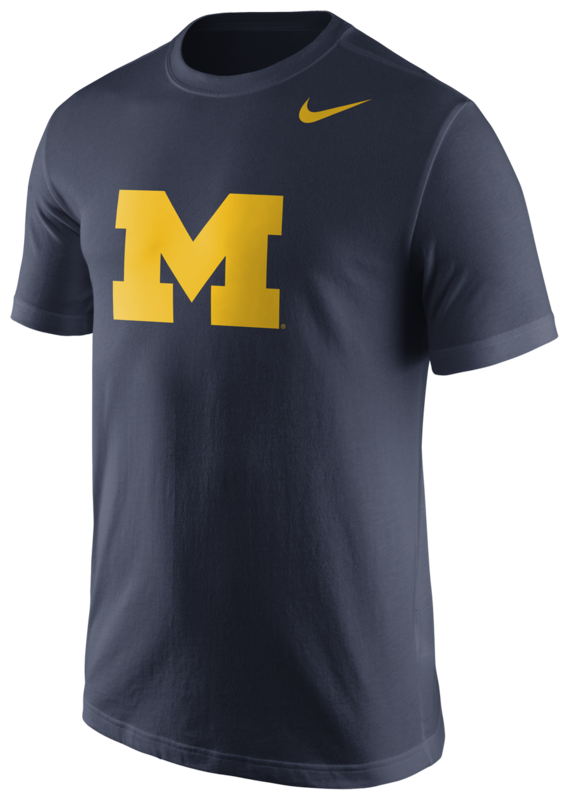 First impressions are that these shirts have that classic Nike look and feel. Simple, no-nonsense designs...although I'm not such a fan of those arm stripes on the polo shirt, but to each their own I guess. 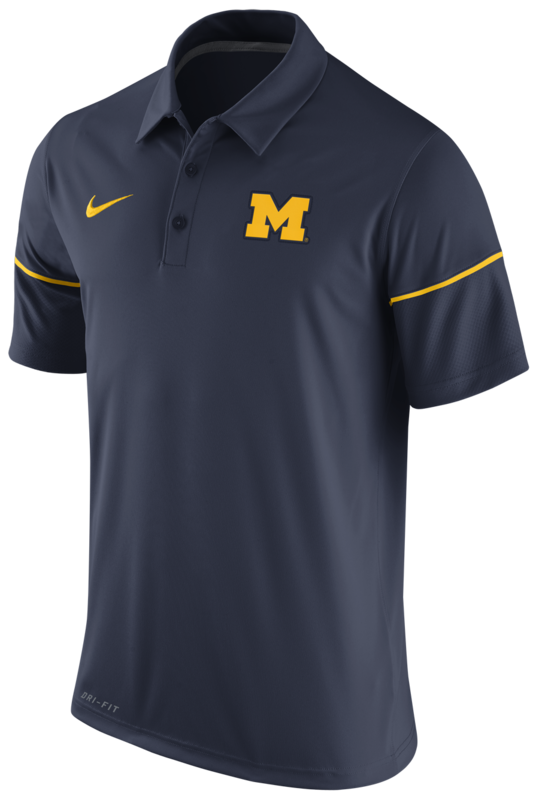 It will be interesting to see just how Nike/Jordan blend their brands on the Michigan jerseys and apparel. 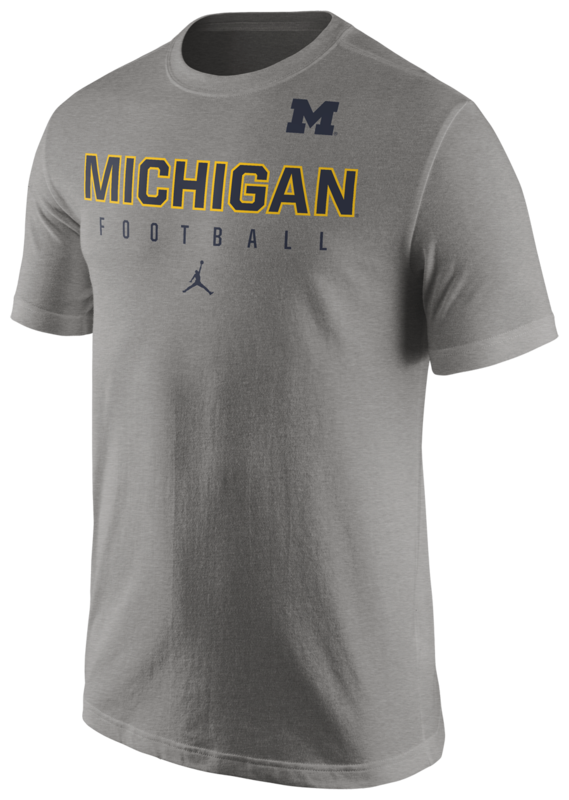 Only football, men's and women's basketball will feature the jumpman brand, as the rest of the university's sports squads will be swoosh only. 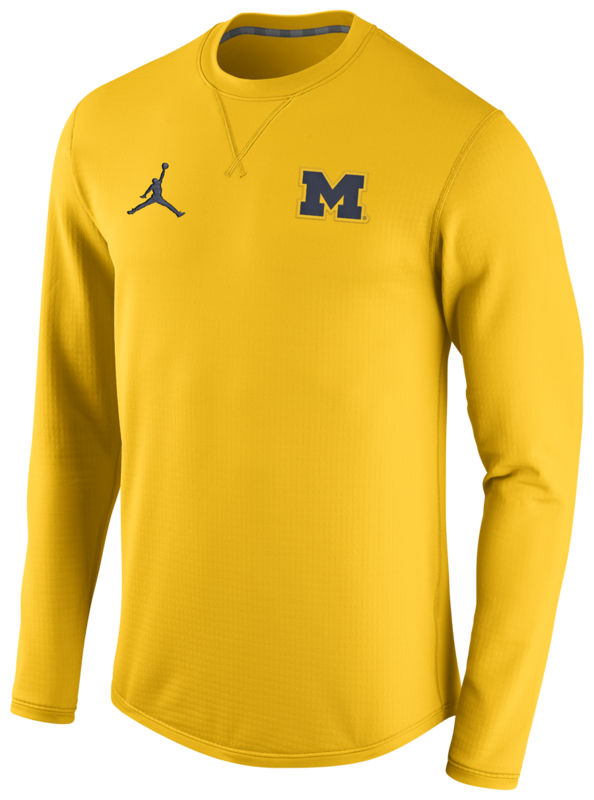 I have to say, the maize...or Amarillo in this case...of these shirts seem follow the direction adidas was headed to make the maize more toned down and not so "highlighter" as in year's passed. So far so good Nike.